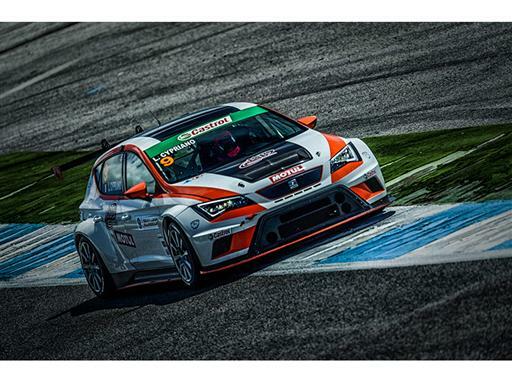 The SEAT Leon Eurocup is set to continue its tour of the European continent after the first two events contested in France and Portugal. This year the championship is proving to be a very dynamic affair full of novelties. Among the talking points, one of the most prominent is that this is currently the International Series sanctioned by the FIA with most female members in its ranks. Five women, Lucile Cypriano, Andrina Gugger (Target, SRL) Vinyes Amalia (Baporo Motorsport), Marie Baus-Coppens and Edina Bús (B3 Hungary KFT), of four different nationalities, make up the grid of this new category of the single make championship: the Ladies Trophy. All of them have extensive track records in the world of racing. They battle every weekend, sharing the track with male drivers in the championship, to become the fastest woman of the SEAT Leon Eurocup. Their results count towards the overall standings and they also compete in their own classification – that of the Ladies Trophy.